Condair Group has a new website - visit www.condair-group.com. 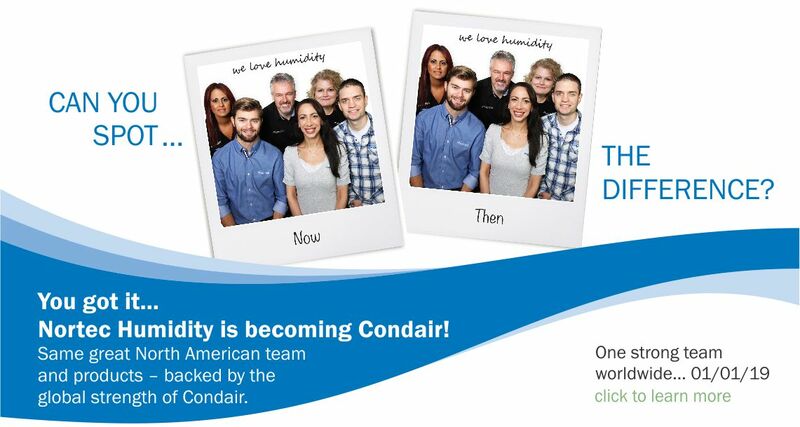 Our main brand, Condair, sets the standard for innovative, energy-efficient and hygienic solutions. Today, with approximately 720 employees, we operate production sites in Europe, North America and China, are represented in 20 countries by our own sales and service organizations and supported by distribution partners in more than 50 locations worldwide. Learn more about Condair's manufacturing facility in Hamburg, Germany. Watch our video showing Condair's brand new Logistic and Production EMEA. Visit our promo store to purchase Condair branded swag for your next event or to give as a gift. Humidifiers makes a significant contribution to optimized production and storage processes, conservation of value and work performance. Humidity is no longer considered a soft factor for indoor air quality, as relative humidity levels of 40-60% can minimize the majority of adverse health effects. 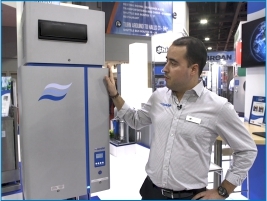 This short video gives an overview about Condair products and services including the US Series Ultrasonic humidifier and the DA Series dehumidifier. 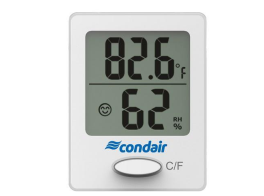 At Condair, we are passionate about sharing and developing only the best solutions for humidity and environmentally conscious evaporative control. Exposure to dry air in your home or work environment can cause discomfort to you and everyone around you. It can lead to skin and eye irritation, hair damage, respiratory problems and subsequent infections. It can also negatively impact your home by negating proper static electricity dissipation, which can lead to a risk of static shock, as well as potential damage to wooden floors and structural components since dry air can pull moisture away from the structure of your home. With proper humidification, these effects can be minimized and, in many cases, outright eliminated. That is why we have made it our mission to develop market-leading solutions improving your comfort and health. Condair has developed a comprehensive suite of humidification systems that enable for properties of all sizes to introduce efficient and consistent hydration and comfort control. This is the result of decades of continuous research and innovation, which Condair continues to build upon to always ensure you get the most reliable and effective product possible. If you're seeking an environment that maintains optimal comfort, health conditions and protection of your property, then we can help make it a reality. Since our very first humidifier sale in 1973, Nortec has been leading a cutting-edge revolution in humidifier design and functionality. Thousands of projects successfully executed and countless satisfied commercial and industrial customers later, we are still committed to our same strong core values: Open-minded approach to every project, Dynamic and prompt action to succeed, Focus on what’s essential to get results, Putting ourselves in your shoes to create the best solution. When you are looking for reliable humidity solutions, you can count on a company like Nortec that has built a reputation for high-quality humidification systems for over 40 years. From electronic manufacturing plants and large health care facilities, to your local yoga studio and art museum – Nortec provides optimal humidification to them all. We are your trusted advisor and knowledge source when it comes to perfect humidification and evaporative cooling. At Nortec, we are passionate about sharing and developing only the best solutions for humidity and environmentally conscious evaporative control. Exposure to dry air in your home or work environment can cause discomfort to you and everyone around you. That is why we have made it our mission to develop market-leading solutions improving your comfort and health. We specialize in... Humidifiers: Our air humidification solutions will help improve your long-term well-being and decrease the effects of harsh dry air. We are proud to be experts in a wide range of solutions including adiabatic in-duct humidification, central steam and direct air humidification as well as electric steam and gas steam humidifiers. Evaporative Cooling: Just like an ocean breeze keeps you cool by the beach on a hot summer day, our evaporative cooling systems use the power of water evaporation to cool your office, factory, or home. Nortec’s evaporative air conditioning systems are not only intuitive to operate but also simple to maintain with the latest hygiene technology features. Water Treatment: The pristine water quality in our humidification and evaporative cooling solutions is what makes all the difference. At Nortec we have the highest standards for water quality and hygiene to ensure your health and safety. We specialize in water treatment, so our customers can trust that their system’s hygiene always comes first. Since our company’s founding we have improved staff well-being, hygiene standards and equipment maintenance in industries such as printing, pharmaceutical, hospitality, call centers, cold storage, data centers, greenhouses and many more. We develop and deploy the perfect humidification solution for proprieties of all sizes and functions. The amount of moisture in the air and the quality of water creating that moisture can affect your employees’ comfort, respiratory health, the operation of your facility’s equipment, and even the condition of your indoor environment. If the relative humidity level in your industrial or commercial facility is too low, this can have severe effects on your workforce and your company’s equipment such as •Physical Discomfort: Low-humidity environments can be the reason for symptoms such as irritated eyes, coughing, itchy skin and breathing issues that will affect your employees’ long-term well-being and health. People suffering from asthma or other air related allergies will notice a low relative humidity environment. Dry indoor spaces also increase the possibility of electrostatic shocks through furniture and carpets. •Equipment Damage: A buildup of static electricity resulting from low-humidity can cause damage to your electronics and related technical equipment. In a dry environment, the wooden structures of your facility can ultimately be damaged through cracks and warping. This can affect anything from flooring to paneling and furniture. Maintaining a relative humidity level of 40-60% in your residence or commercial building can have many advantages. It not only helps you maintain your work and office equipment and increases overall comfort but also has proven health benefits. With moist air decreasing viruses’ and bacteria’s ability to travel, optimized humidity levels can actively reduce risk of infections. 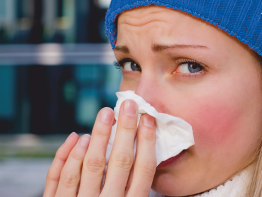 Once you suffer from a cold, healing times will also be noticeably shortened if sinuses and throat stay moisturized. Furthermore, regularly maintained humidifiers and well-timed automatic thermostats can have a great impact on sustainability and energy savings for your company. 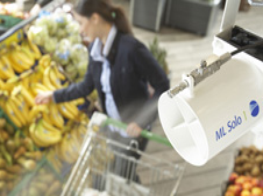 Effective practices such as occupancy sensing and schedule-adjusted timing for your indoor and outdoor cooling and humidification needs won’t only reduce your overall operating costs but also contribute to environmental sustainability. A Nortec humidification solution for your building is the best solution to prevent dry air and low humidity in your commercial or industrial facility. Whether it’s a packaging facility, a long-term living retirement home, or any other commercial space, our industry-leading air quality applications can increase the moisture levels in your indoor environment and thereby drastically improve comfort, prevent damage, and increase employee productivity for years to come. Win a free indoor hygrometer by signing up today!